Now that my Graphic Design business is up and running, and I have opened my own Etsy Shop, I am trying to get the word out as much as I can! I love designing, creating, and helping people feel confident about their little blog space or special occasion invitations. 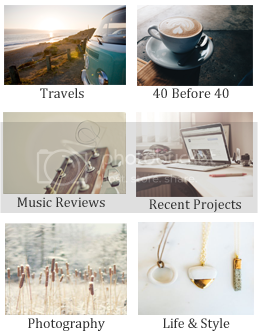 With that being said, I have decided to give away one of my blog templates for a Blogger ... for free! This makeover will consist of: the header JPEG and PNG file, the template code, instructions for installing the template, name of fonts used in the header design, about me title bar, and Facebook, Twitter, Pinterest, Google +, email and RSS social media icon buttons for the First Comes Love template shown above. You can see this blog design up close and personal here. Here is what you will need to do to take part in the contest: Remember, leave a separate comment for everything you do because it leaves you more shots at the prize. 1. Visit my SHOP and leave a comment letting me know which one of my items for sale is your favorite. 4. Like our Facebook page & share this giveaway on your FB page. 5. Blog about Always In Bluhm or this giveaway. 6. Most importantly, leave your email address in the comment form so I can contact the winner! * remember, every time you do one of the above, leave a separate comment on this post letting me know. This giveaway closes on November 1st, 2012 at 12am. I really love the Sunday Morning or Love Comes First templates....maybe this is just what I need to re-energize my blogging! And I just tweeted (twittered?) it! Oh, my email is eastowell at gmail dot com. And Facebooked it! eastowell at gmail dot com. I love your "picture perfect" template!